As golf fans focus on the next Masters champion, there's nothing quite like one of golf's major championships to remind us that game is pretty much carried on the backs of men. As U.S. demographics shift and the numbers of those middle-aged - and older - men shouldering a large share of rounds played decline in numbers, we are reminded, as we channel our inner-Martha Burke, that some things will have to change - and quickly - as more and more people in golf will continue to change careers. Nearly 2,000 golf courses have closed in the past 15 years, and fewer than 600 have opened, meaning there are about 1,400 fewer golf courses across the U.S. today than there were when Phil won his first Masters championship. If your course has managed to escape golf's grim reaper during the past decade-and-a-half, there's always tomorrow. Industry experts agree, with the loss of another 100,000 golfers last year (which brings us to a loss of about 10 million in the past two decades) there is more pain to come. Ultimately, whether a golf course succeeds or fails will depend on property-specific efforts that will appeal to, attract and retain new players, most notably juniors, minorities and women. That said, there are a few industry initiatives aimed specifically at making golf - the game and the industry - more appealing to women. Likewise, several turf industry suppliers, including Syngenta, Nufarm and Bayer, have made an effort the past two years to increase awareness among women to careers in the golf industry. It stands to reason that the more popular the game is among females, the more cognizant women will be to career opportunities in the industry. So, while women in golf and women in turf are two separate movements, they are linked. The Golf 2020 Women's Task Force seeks to increase awareness of and participation in golf among women by targeting its message and efforts to families, fans of the game and industry partners, according to the group's strategic plan. Other initiatives include a joint effort between the LPGA and the Executive Women's Golf Association, Women's Golf Day and the Invite Her campaigns. The good news is that these efforts appear to be having an impact. According to the National Golf Foundation, women comprise about 24 percent of all U.S. golfers, however, 35 percent of all newcomers to the game are females. That's good news for a business that has seen annual rounds played drop by 90 million from 518 million in 2000 to 427 million last year. Just like the game is never returning to its days of Tiger Woods-fueled hysteria at the turn of the century when 30 million people considered themselves golfers, rolling over and crying uncle is not an option either, as people choose to spend more time driving to kids travel sports leagues, playing video games and doing just about anything else that, unlike golf, does not take years to master. According to the National Golf Foundation, women comprise about 24 percent of all U.S. golfers, however, 35 percent of all newcomers to the game are females. That's good news for a business that has seen annual rounds played drop by 90 million from 518 million in 2000 to 427 million last year. The effort to attract more women to the game is not just a U.S. golf issue. The R&A last year also adopted a strategic plan designed to get more women to play golf and work in the industry. 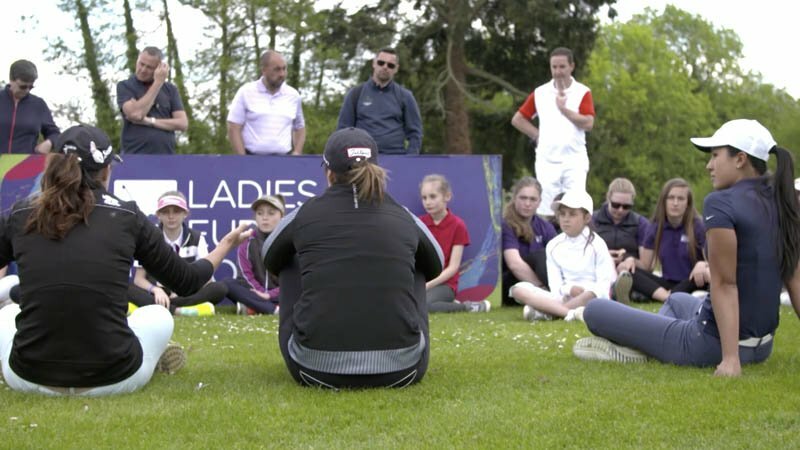 > develop an inclusive environment for women and girls within golf. Frankly, it is difficult to comprehend that making the golf business more inclusive merits conversation, yet here we are. According to statistics presented at this year's Golf Industry Show, 4.4 percent of the PGA's 29,000 members and 1.5 percent of the 18,000-member GCSAA are women. According to the GCSAA, 112 female superintendents are members of the association, and only 61 of them are head superintendents. The push to be more inclusive has become such a cause celebre that the R&A, which governs the game outside the purview of the USGA, says more than 100 other golf organizations globally have signed on in support of its mission, including the British and International Golf Greenkeepers Association, which just recently endorsed the charter and is dedicated to "seeking to develop a culture that values women's involvement in pursuing a career as a greenkeeper." That group also includes Golf Canada, Golf Australia, New Zealand Golf, the Italian Golf Federation, England Golf, Scottish Golf, Wales Golf, the PGA TOUR; the European Tour, the Ladies' European Tour; the PGA, the Golf Foundation, the PGAs of Europe, the European Disabled Golf Association, the ANNIKA Foundation, IMG, VisitScotland and the All-Party Parliamentary Group for Golf. Endorsement at an organizational level is laudable and a good start, but eventually acceptance and implementation will have to trickle down to individual facilities, and the data show the golf industry still has a long way to increase real career opportunities for women.